MOSCOW (Roscosmos PR) — Interplanetary expeditions of the near future put forward new requirements to the safety and effectiveness of the participants in space flights. That is why the use of robotic systems (RTS) both on board spacecraft and when carrying out “on-plan” activity of crews is among the promising areas of manned programs. 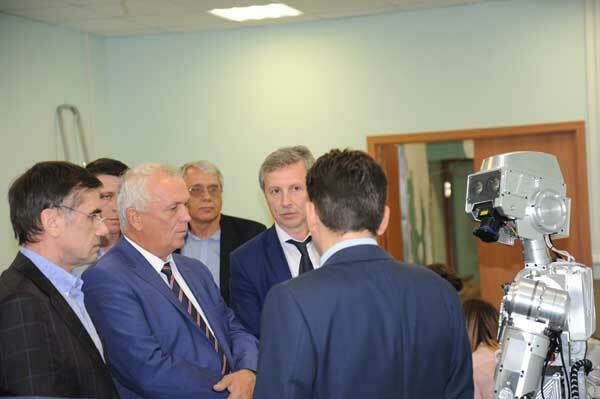 From 10 to 19 September 2018 on the basis of the scientific management of the Cosmonaut Training Center. Yu.A. 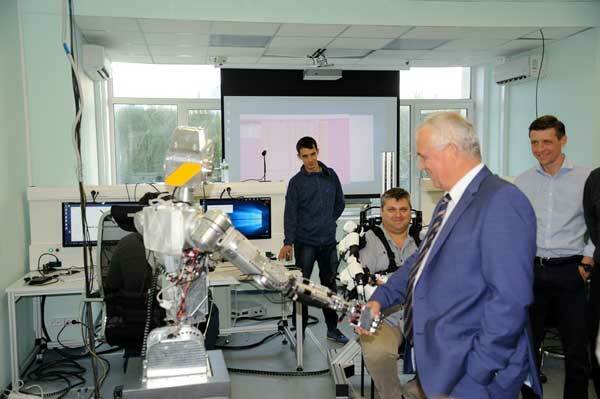 Gagarin passed the acceptance tests of the universal computer stand (UCS) of robotic systems with the participation of specialists from the CPC and JSC “NPO” Androidnaya Tekhnika “. 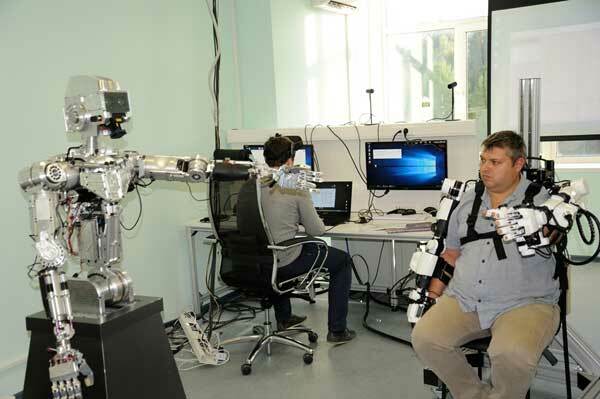 UTS RTS, created on the basis of a single set of software and hardware tools for modeling and visualizing virtual interactive 3D robot models and their external environment, is successfully mastered by the Center’s specialists for further application in training cosmonauts. The stand will be used for carrying out ergonomic studies and working out the interaction of participants of long expeditions with various RTS space applications. In the implementation of promising interplanetary flight programs associated with the colonization of the Moon and Mars, anthropomorphic robotic systems will become reliable assistants to cosmonauts. Keep them away from drills. My… friend.. missed that reference. Care to elaborate? Ah, thanks. I was… I mean my friend was trying to connect robots and drills in a pop-culture reference, not Russia and drills and a space reference.